The flurry of recent speculation over where Iran’s nuclear program is heading and what Israel and the West will do about it has dominated local and international media to the point where Prime Minister Benjamin Netanyahu had to ask his ministers this week to “stop the frantic chatter over the Iranian issue” lest efforts to deter Tehran be jeopardized. But there are some things likely to affect the Islamic Republic in the coming months that may not necessarily stem from an Israel Air Force base. Statements by the supreme leader. Ahamdinejad frequently spouts diatribes and threats against Israel and the U.S., but such statements by the Islamic Republic’s Supreme Leader, Ayatollah Ali Khamenei, are much rarer. As power ultimately rests in Khamenei’s hands, his words are a better indication of Tehran’s intentions. Last week, in some of his sharpest comments yet regarding the international deadlock over Tehran’s nuclear program, Khamenei said in a public speech, “A war itself will damage the U.S. 10 times over … Iran will not withdraw.” In a further warning, he said, “if any nation or any group confronts the Zionist regime, we will endorse and we will help. We have no fear expressing this.” Khamenei’s decision to come forward now with his remarks is no doubt strategic. As the prospect of Israeli military action against Iran grows, the supreme leader’s threats are meant to convey that Tehran will not be backing down from its nuclear plans any time soon. Bashar Assad’s fate. If the uprising in Syria ultimately succeeds in bringing about regime change in Damascus, this will be a blow not only to President Bashar Assad, but also to Tehran. Last week, former Mossad chief Efraim Halevy suggested that Syria is Iran’s “Achilles heel.” In plainly logistic terms, Assad’s fall could disrupt Syria’s role as a corridor for the free flow of Iranian weapons into the hands of Tehran’s proxies, Hezbollah and Hamas. But Syria holds even greater importance for Iran. “The alliance with Syria is the centerpiece of Iran’s expanding sphere of influence, a mini-Comintern that includes such clients as Iranian armed and directed Hezbollah, now the dominant power in Lebanon; and Hamas, which controls Gaza and threatens to take the rest of Palestine (the West Bank) from a feeble Fatah,” Charles Krauthammer wrote in his Washington Post column last week. Assad’s fall would therefore lead to a fundamental change in this sphere of influence. Tehran would lose its firm support in Damascus, which would in turn damage its influence in Lebanon, Iraq and Gaza. Tensions at the top. There have been points of friction between Ahmadinejad and Khamenei, but tensions brewing between the Ayatollah and the powerful Iranian Revolutionary Guards, who have been a bastion of support for the supreme leader, could deeply split the regime and weaken Khamenei’s influence. Former officials who are linked to the IRGC have voiced increasing criticism of Khamenei’s policies. Recently, Adm. Hossein Alaei, the IRGC’s first navy commander penned an op-ed which was seen as indirectly criticizing Khamenei. Conservative hardliners and some IRGC commanders subsequently condemned Alaei in the press, but other Revolutionary Guards backed him, with one former IRGC officer saying that Alaei merely brought buried criticism of Khamenei out into the open. Meir Javedanfar suggests that Khamenei’s decision to ignore sanctions may deepen the rift between the Ayatollah and the IRGC. “As sanctions bite, more and more people will question Khamenei’s nuclear strategy and the way he’s dealing with the international community over the matter. Sooner or later, this will include people from the Revolutionary Guards.” As sanctions hurt Iran’s economy, they will no doubt hurt the IRGC, which has ties to companies that control large sectors of the Iranian market. The IAEA March 2012 report. If IAEA Director-General Yukiya Amano’s progress report on Iran next month concludes that Tehran has not addressed “unresolved issues” on its nuclear program as detailed in last November’s report, Iran can expect to face more international pressure, including tougher sanctions. The IAEA reports have taken on a greater significance since the organization’s leadership changed in 2009 because they have clearly stated what was only vaguely touched upon before. According to Giora Eiland, former head of Israel’s National Security Council and a researcher at the Institute for National Security Studies, “[Former IAEA leader] Mohamed ElBaradei made every possible effort not to speak in explicit terms whenever Iran’s nuclear military ambitions were discussed. As long as he gave Iran certain grace, the Europeans had very good excuses why the situation was not that urgent,” Eiland says. “Amano, by contrast, has spoken in a very clear, very open way, explicitly saying in his last report that Iran is trying to develop nuclear weapons.” By making the possibility of a military dimension to Iran’s nuclear program a reality, Amano’s last report forced not just the U.S. but the EU as well to take stronger action against Iran. It remains to be seen whether next month’s report will do the same. The Iranian street. 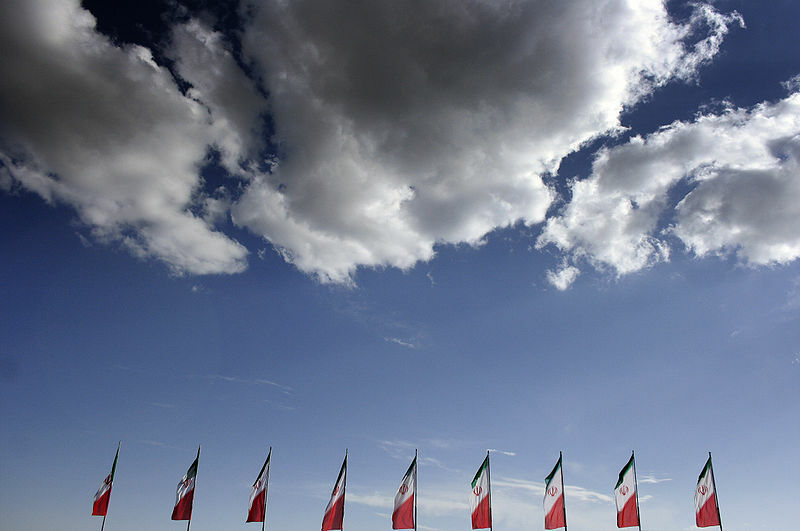 Iran is scheduled to hold legislative elections early next month. While many see the elections as mere political theatrics aimed at shoring up the regime’s legitimacy, Iranians discontent with the country’s poor economic conditions may take to the streets again, sparking violent demonstrations like those set off by Ahmadinejad’s disputed win in 2009. Following those elections, the regime was able to crush the protests, but demonstrators may now be more emboldened by the Arab Spring which has succeeded in bringing down even the strongest leaders in the region. The reformists have largely boycotted the Iranian elections in protest of electoral fraud, so the race will stay in the conservative camp. However, it appears the regime still fears public backlash – it has taken preemptive measures in recent months by arresting bloggers and journalists who could stir unrest. An Amnesty International statement said the arrests are an “apparent attempt to disrupt public discourse and potential criticism of the authorities’ record in various spheres including human rights and economic performance in advance of the start of the election campaign.” Ultimately, when March 2 rolls around, it will be more important to watch what happens on the Iranian street than what happens in the Majlis. Reprinted here with permission from Israel Hayom. Interesting analysis. Unfortunatly the Iranian people are going to be hurt one way or the other, and they are not the bad guys.